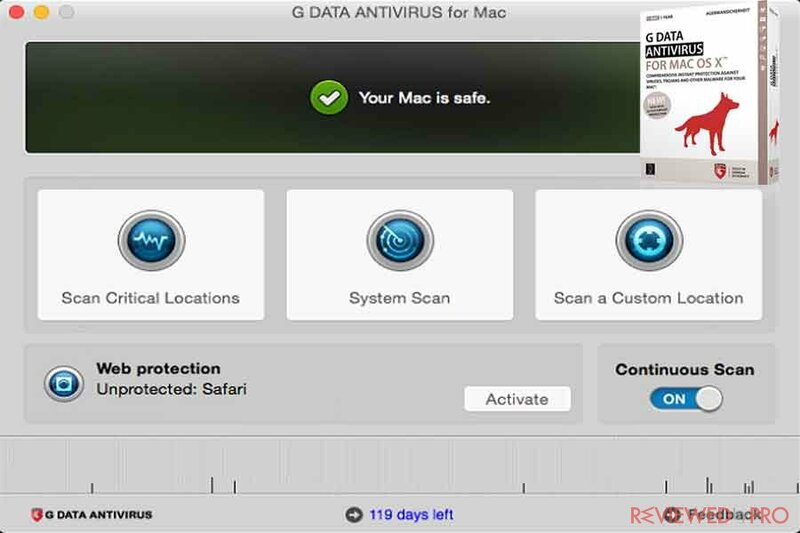 Please see the updated Review of G DATA Antivirus for Mac in a Security section, or click here. Even though Mac OS is considered to be safer than Windows, the reality is that Mac computers can be as vulnerable as Windows PCs. It is true that Macs, compared to Windows PCs, are targeted less but protection for Mac computers is also a must. In order to prevent potential attacks, infections, exposures and other malware, G DATA has developed G DATA Antivirus for Mac OS. G DATA Antivirus for Mac OS offers reliable advanced protection against malicious software. Every time that you using your Mac, browsing the internet, working, or even watch a movie, G DATA real-time scanner is active. The scanner works in the background without any negative impact on your system and searches your Mac for malware. Every time you create, access or change a file or program, G DATA virus protection checks and secures the process. The antivirus system immediately detects every suspicious process or behavior. In addition, G DATA Antivirus for Mac OS protects your mac from spyware, viruses and other malware and moves malicious files and suspicious software to quarantine until you decide what to do with them. What does G DATA Antivirus for Mac OS offer? G DATA Antivirus for Mac safeguards your Mac and important data you store in it against spyware attacks, as well as protects your financial information, including bank data and credit card details. G DATA Antivirus for Mac protects your Mac completely and all the time, even against the latest malware and other cyber threats. G DATA Antivirus for Mac provides consumers with reliable protection against viruses and other risks on the Internet in the background. Every single change on the system is constantly monitored without any negative impact on your Mac performance, so you can enjoy browsing and surfing the Internet or do other stuff on your Mac, while G DATA Antivirus protects and secures your Mac and information stored in it. G DATA Antivirus for Mac also protects your network and ensures that your Mac does not share viruses or other malicious software with other computers and devices in the network. 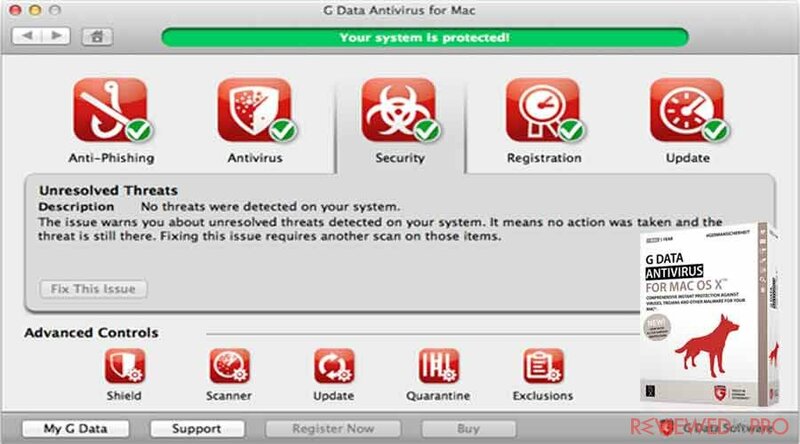 G DATA Antivirus solution for Mac OS provides customers with an advanced virus scanner that continuously analyzes the entire system and enables users to scan removable storage or selected files. G DATA Antivirus for Mac was designed to keep simple and clear protection: with a single click G DATA Antivirus for Mac scans your Mac constantly in the background and provides complete safety. G DATA Antivirus solution for Mac is compatible with Intel-based Apple Macs with Mac OS X Lion (10.7.5) or later, with 1 GB RAM, 400 MB of free disc space and at least 1024 x 640 screen resolution. In order to install the antivirus for virus signatures and for all software updates, an internet connection is required as well. 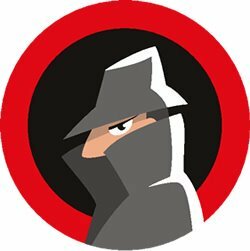 ^ G DATA Antivirus for Mac OS. G DATA Software. This entry was posted on 2018-01-26 at 07:19 and is filed under News.